Having this purpose in mind, in 2011 was founded DefCamp, the largest conference on cybersecurity in Romania and among the largests in Central and Eastern Europe. DefCamp is organized by the Association for Research in Computer Security Center of Romania (CCSIR) with the support of various companies from Romania and abroad. DefCamp #6 (this year edition) will take place between 19 and 20 November and expects over 700 participants from around 30 countries. Several dozen speakers, global recognized and specialized in cybersecurity, will bring to public’s attention the newest research. However, any discussion of cyber security should start with two main issues: identifying the problem and the solution. For the second one competes both companies specialized in software security and hackers. During the two days of DefCamp will happen also the most important contest finals of white hacking in Central and Eastern Europe: DefCamp Capture the Flag (CTF-D). During qualification stage nearly 1,200 teams from 80 countries competed and after the final in November the winners will be rewarded with prizes worth 3,000 euros, consisting of cash, gadgets and other hardware. Moreover, the qualification to the finals of this competition provides them with free tickets to DefCamp 2015, and attendance at other Capture the Flag international competitions. Most teams come from Romania, Russia and the US and in the fourth place is Japan. 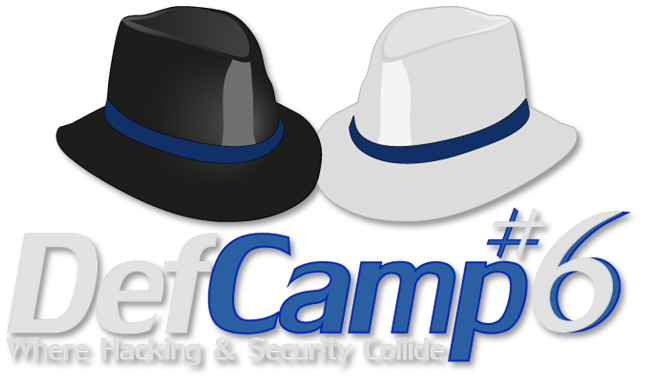 For the first time, during DefCamp #6, two new competitions that challenges participants to find vulnerabilities and report them to vendors in a responsible manner in line with international standards will keep the audience engaged. Thus, for Village IoT supported by Bitdefender, participants will discover vulnerabilities in devices which add up to Internet of Things. Orange will hold a Bug Bounty competition, which will award those who find ways to bypass ordinary security systems, thereby participating in the development of cyber security solutions. In addition to these and D-CTF contest, there are three more major activities dedicated to personal safety, money security, and data privacy. Thus, during Target John, “hackers” receive information regarding a real target and must find all the details about it. Hack the Machine assume that they will apply the tactics of hacking servers and computers to discover vulnerabilities, and for Hack the Bank participants will have to take control of an ATM and be able to withdraw money from it. “The conference from this fall is certainly expected by many Romanians and Europeans as well. Experts and industry leaders in cyber security and online privacy will discuss and debate the hottest researches of the year through which were discovered critical vulnerabilities in software and hardware. The activities, the challenges and DefCamp community are the main ingredients to the success of the event every year, and this year we expect to have the highest density of IT security specialists per square meters. However, there are emerging technologies when you connect it to the web, which is why we have prepared a competition dedicated to the Internet of Things devices. Meanwhile, the state, groups or individual surveillance companies can no longer be ignored as we have experts presenting and discussing this topic and how we relate to it,” said Andrei Avadanei, founder and coordinator DefCamp. In essence, the DefCamp #6 will hit the high note about the most sensitive subjects related to cyber security and online privacy. These include critical infrastructure security, malware and advanced cyber threats, security of mobile devices and artificial intelligence used to combat illegal activities, mass surveillance carried out by governments, companies or specialized groups. These and many more will be addressed by speakers present at DefCamp 2015 under topics like: Challenges on Reversing Layered Malware, Subverting the bedrock of Mobile Browser Security, Hacking and Securing Network Monitoring Systems: End-to-end walkthrough example on Gangl Democratisation of Mass Surveillance, Why malwares target nation-state or Untrusted Networks Telco Mobile Applications. State of Art of Security App-Apocalypse. Since 2011 DefCamp succeeded to bring over 2,300 participants from 75 cities and 34 countries interested in hacking, cyber vulnerabilities as well as solutions for online protection. The audience is complementary and balanced as follows: 25% are interested in cyber security, 25% are top management, 25% come from the area of project development, and another 25% are institutions, NGOs, academic participants or students.